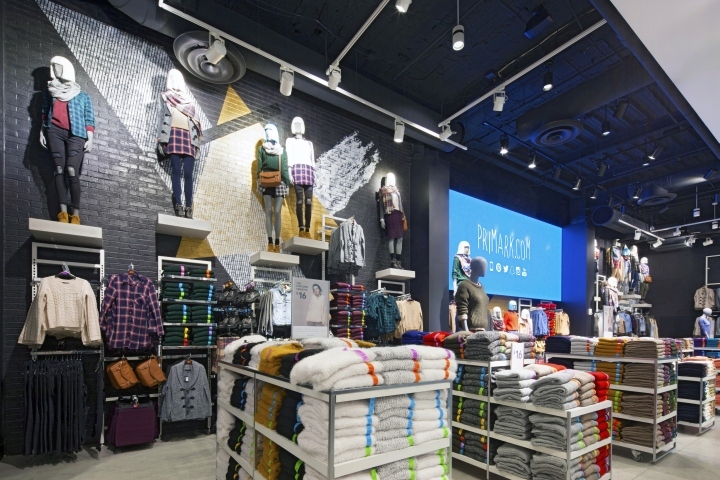 London-based creative agency Dalziel & Pow has collaborated with Primark to take its first step into the US market with an innovative flagship store in Boston. 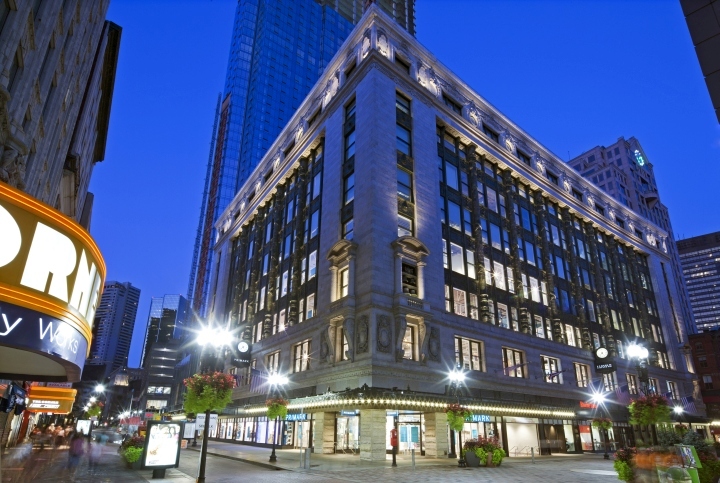 The store occupies the iconic Burnham Building, formerly home to the city’s much-loved department store Filene’s, and the design incorporates respectful references throughout. 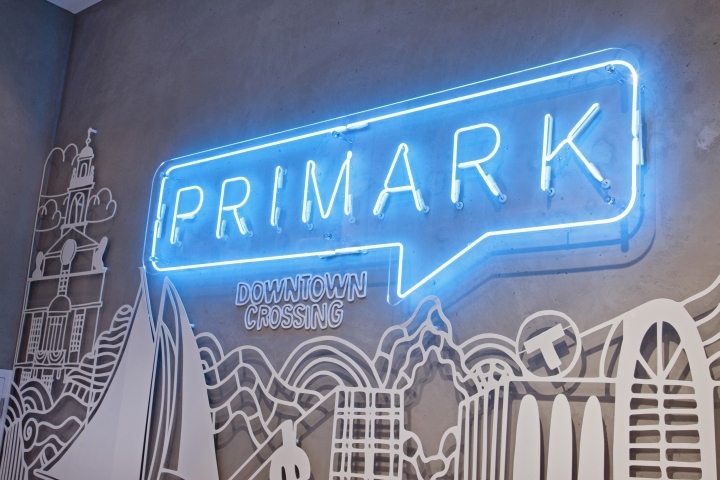 This debut is part of eight planned Primark openings across northeast America over the coming year, and the Downtown Crossing neighbourhood is the ideal location for this launch. 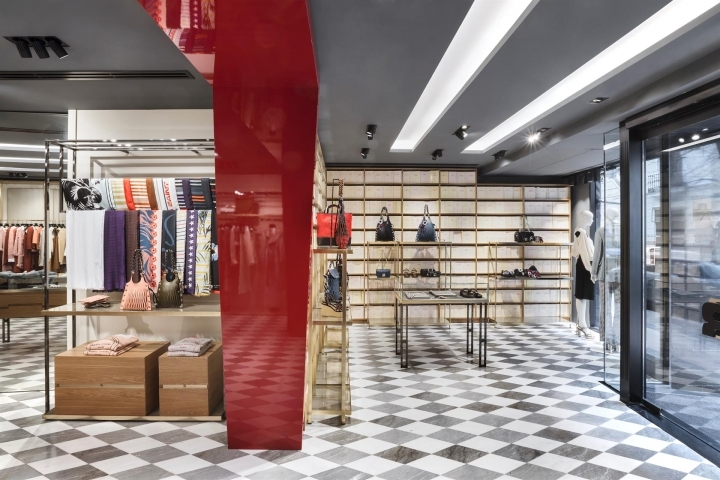 Dalziel & Pow played a strategic role in this project, applying the brand in a new territory with limited recognition, ensuring clear expression of fashion and value for the brand. Dating from 1912, the building’s historic architecture has been sympathetically restored and enhanced by Dalziel & Pow’s design concept, retaining original features, including windows, exposing brickwork and terracotta ceilings, across 77,000sqft of retail space. 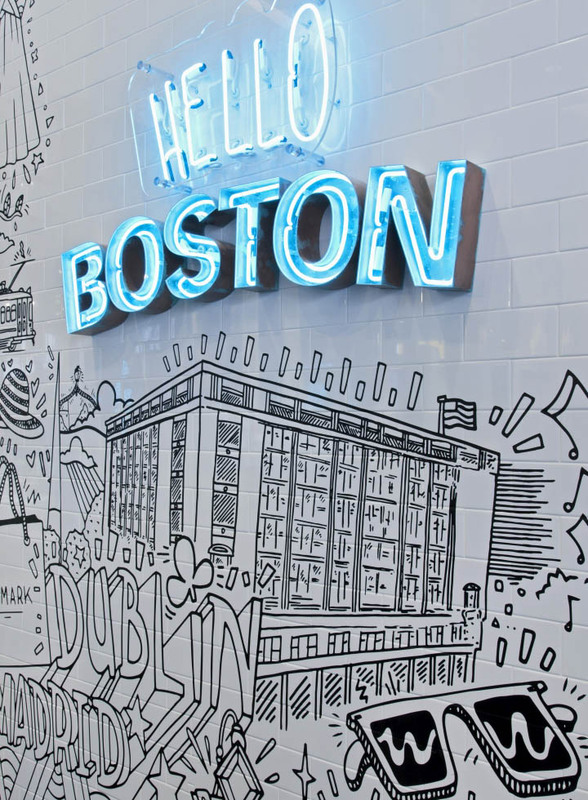 The customer journey begins with a ‘Hello Boston’ mural in the lobby, illustrating Primark locations around the world as part of the brand’s international fashion story, and one of several original art features in the store. Others include decorative fret-cut panels, applied to cashdesks across all levels and designed to express the department they are within. The ‘Kids’ panel features a playful and colourful interpretation of the Boston skyline. Upon arrival, customers are greeted by a collection of mannequins raised high into the generous space. 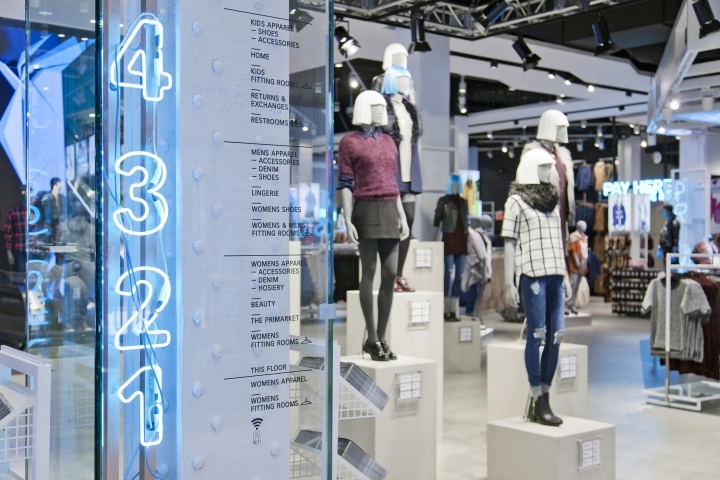 Showcasing seasonal outfits and great value, as if bringing the pages of a fashion editorial into 3D, this high-impact VM display brings Primark’s brand promise ‘Amazing fashion, Amazing prices’ to the forefront, and communicates these values to the US market. Behind the mannequins there is a high-definition digital LED ribbon that both interacts with the VM and leads the customer’s attention up the escalator to the store’s upper levels. With a constantly changing sequence of bespoke content, the digital display establishes that there is something new and exciting for customers to discover on every level while highlighting ‘hot product’. Another key feature is the 1,000sqft trend room. 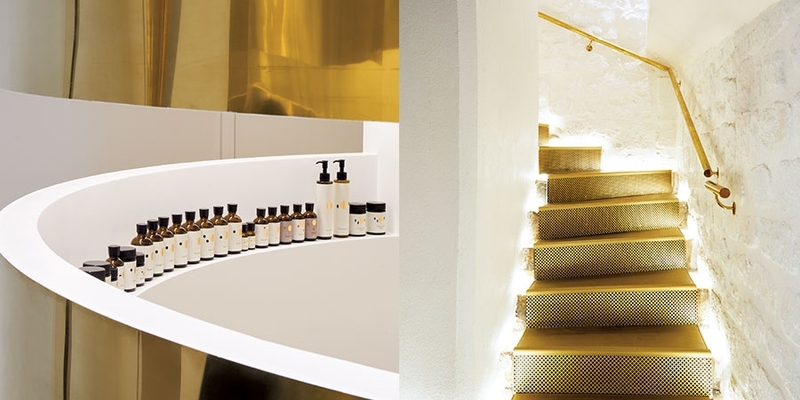 This shop-in-shop curates the latest products and looks, so time-poor, trend-conscious customers can shop with ease. 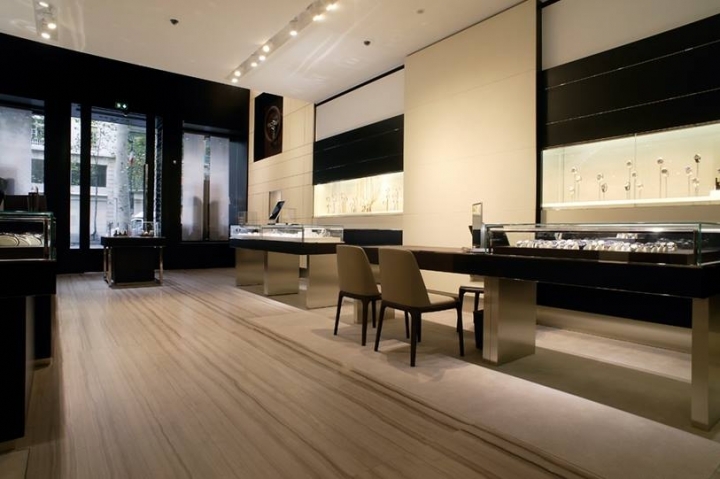 The store delivers on the customer experience as well as great fashion and value. 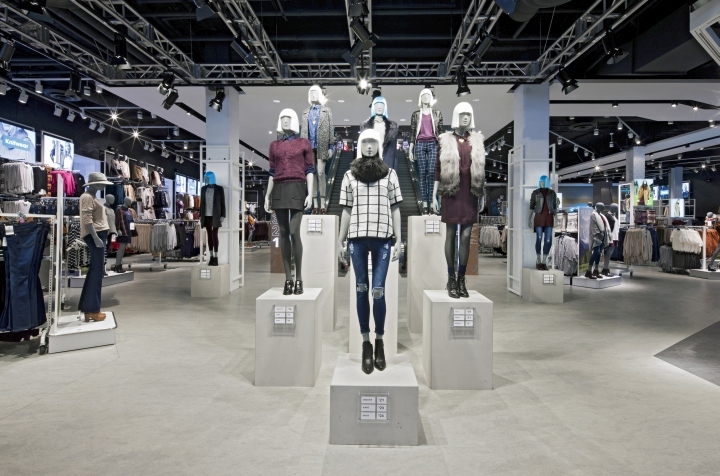 530 mannequins provide the customers with outfit inspiration. 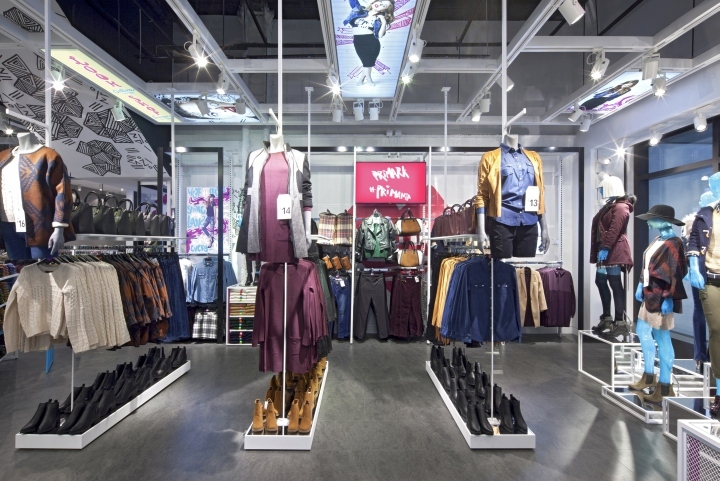 73 cash registers and 84 fitting rooms help to minimise customer waiting time. Shoppers can relax in a number of seating areas across the floors and convenient charging is supplied for a range of devices. Free wifi is available throughout the store. 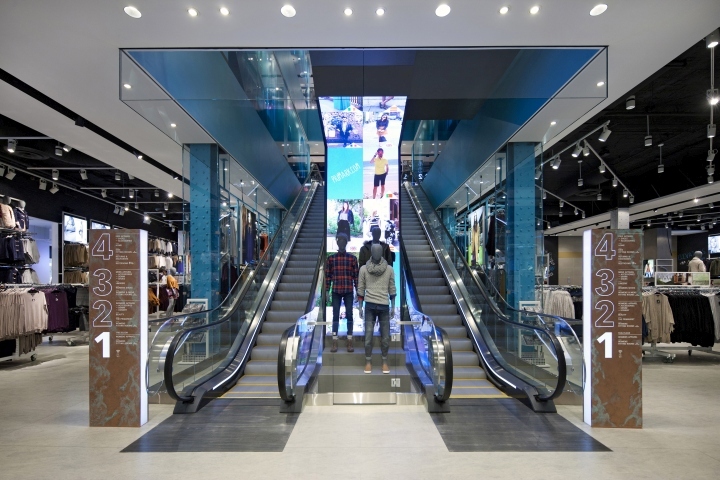 In-store digital screens tell the global story of the brand through playful illustrations and shout-outs from Primark’s user-generated online fashion playground ‘Primania’. This encourages customers to join the conversation beyond the store’s walls. Dalziel & Pow is a leading, independent agency based in London, creating engaging brands all around the world. Offering strategy, design and innovation, its collaborative team of retail experts defines imaginative brands and delivers engaging experiences for a new era of customer. Clients include Samsung, Timberland, Target and John Lewis. 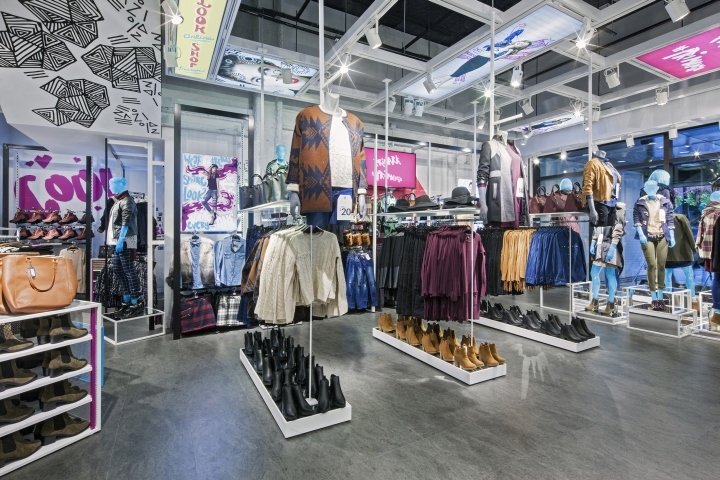 Primark is one of the largest clothing retailers in Europe, offering customers quality, up-to-the-minute designs at value-for-money prices. It has 293 stores and employs over 62,000 people in the UK, Republic of Ireland, Spain, Portugal, Germany, the Netherlands, Belgium, Austria, France and the US. Primark, which is a subsidiary of Associated British Foods plc, was founded in June 1969 in the Republic of Ireland. In 2006, Primark opened a store in Madrid, Spain, its first in Continental Europe, and now operates from 11 million square feet of selling space across ten countries. 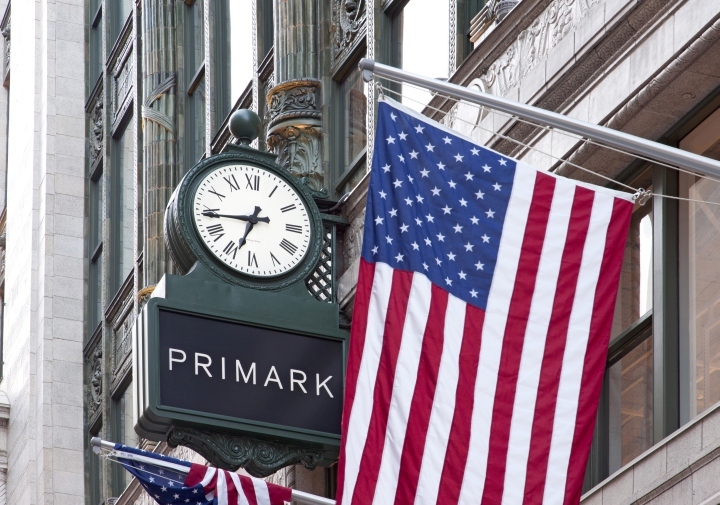 Primark has been ranked a Leader by the UK’s Ethical Trading Initiative since 2011, and in 2014 Greenpeace’s Detox campaign recognized Primark as a leader on the issue of chemicals management.